Dan Uggla is in the second year of a $62 million contract, but he is no longer the starting second baseman for the Atlanta Braves. 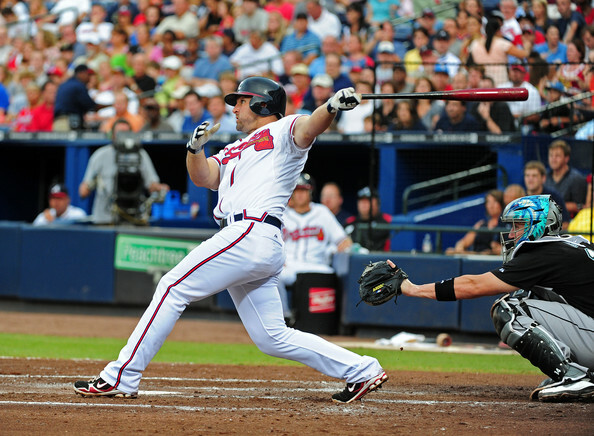 Manager Fredi Gonzalez informed Uggla that he would be used sparingly down the stretch in the Braves playoff run. Not much ground for argument on the second baseman's part. He's hitting an anemic .208 with only 17 homers this year. He has fanned 150 times thus far. Since joining Atlanta last year, Uggla is giving the Braves about a half a season per campaign.In 2011 he had a tremendously horrible start but managed to finish strong. This year he began the season better, but has been inconsistent all year. The last couple of months his game has been pretty much missing in action. Martin Prado will see most of the action at second, as he moves from the outfield to his once familiar spot on the right side of the infield.